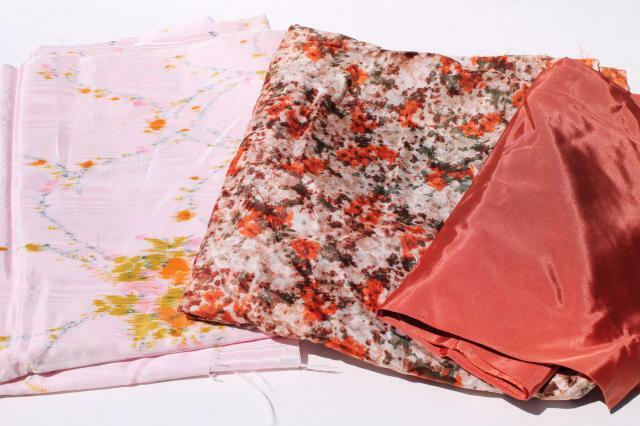 Lot of 60s vintage taffeta and moire taffeta fabrics, such pretty colors! 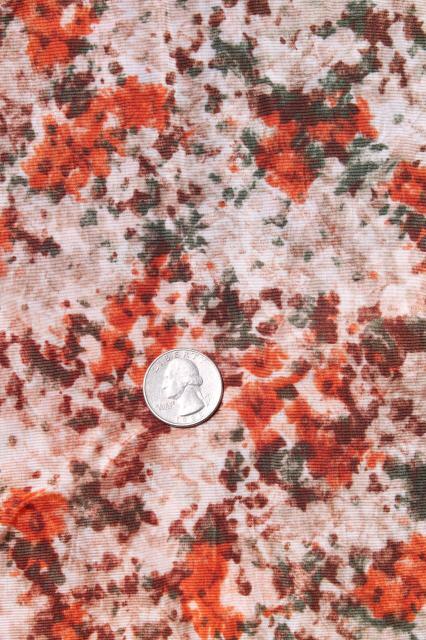 These look good together. 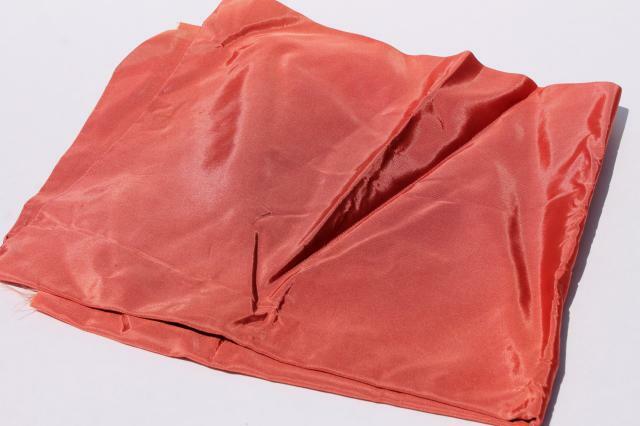 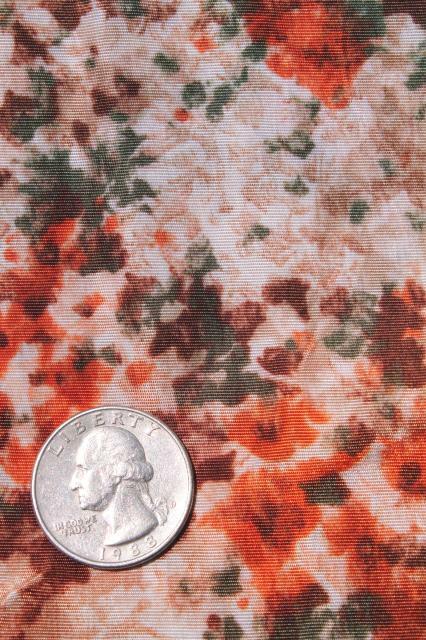 The plain rust colored solid measures 42" wide x 1 yard. 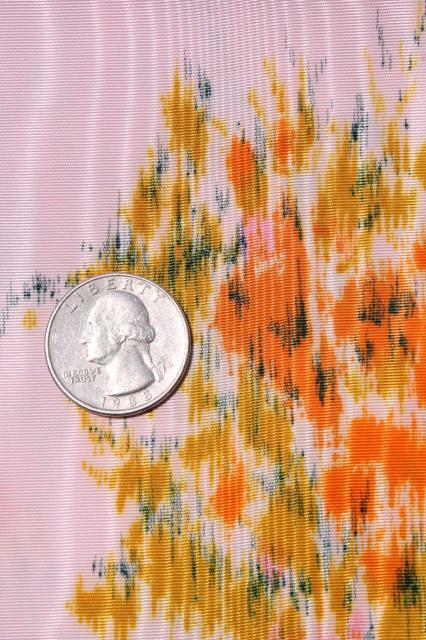 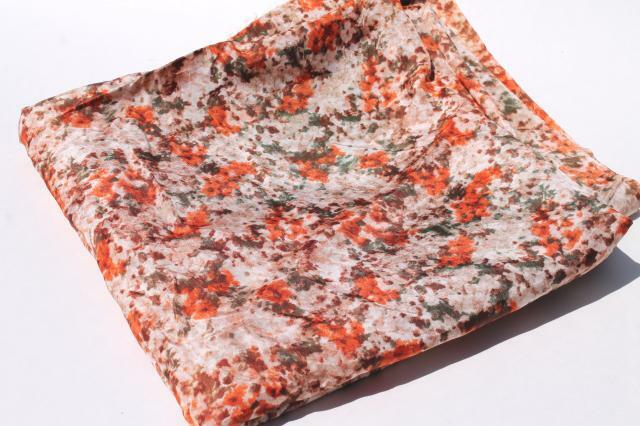 The rust colored flowered print fabric measures 45" x 2 yards+. 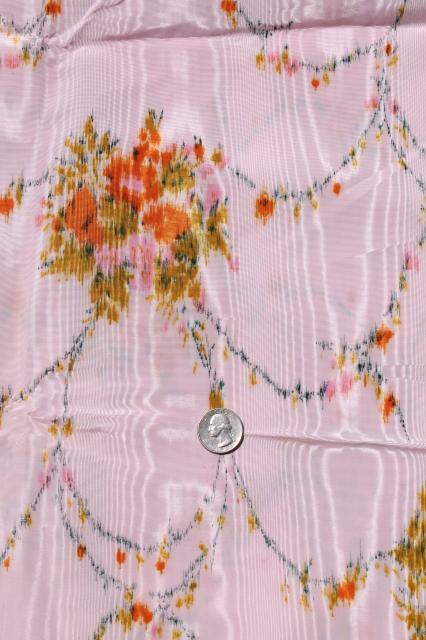 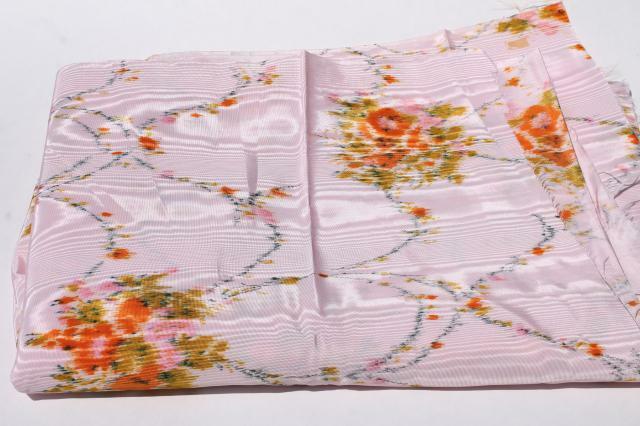 The pink moire with floral print measures 42" x 3 1/2 yards.